Drug testing has become a common practice for companies wanting to maintaining a drug free workplace. In most states, it is within an employer’s rights to have a company-wide drug testing policy in place that gives an employer the right to screen employees for drugs in certain instances, such as when hiring or when an employee returns back to work from leave. In the greater picture, what a drug-free workplace means for employers and employees is not just regulated drug testing, but a more comprehensive approach to keeping employees safe by improving communication about your company’s stance on such issues, and making a clear path towards getting your employees help when they need it. Deliberately laying out testing policies, procedures, and having assistance programs in place will respectfully protect both you and your employees in the event that you find out there is an employee who has a drug problem. You might be asking yourself, “How do I start drug testing in my company?”. Here are some guidelines to help you get started on developing a Substance Abuse Company Policy of your own. 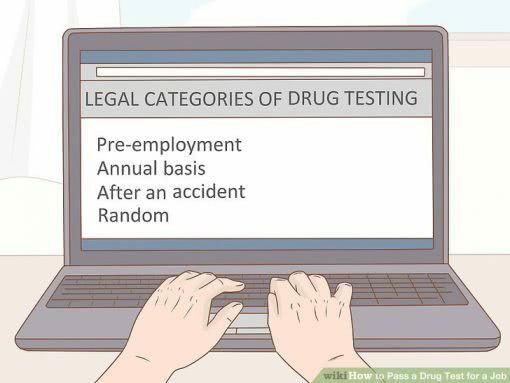 What Drugs Are Tested For in a Pre Employment Drug Screen? Many big box companies conduct a Pre Employment Drug Screening for five major illicit drugs which take various forms and go by a variety of names. Cannabinoids, hash, marijuana, ecstasy, crank, speed, meth, coke, crack, morphine, opium, heroin, codeine, PCP, and angel dust are common names for the five major drug groups tested for in many Pre Employment Drug Screenings: THC, Amphetamines, Cocaine, Opiates, and Phencyclidine. 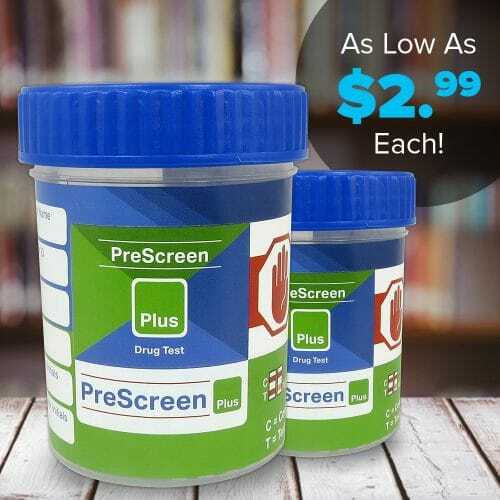 While five panel instant drug tests are certainly a great option for Pre Employment Drug Screening, these tests might exclude testing for other substances such as alcohol, synthetic marijuana, or prescription medications that are not only very commonly abused, but also significantly impact an employee’s ability to perform their job duties. Ultimately, it is an employer’s choice to decide how general or comprehensive drug screenings will be. It is also the employer’s responsibility to become familiar with the drug testing laws for the state in which your business is operating. Are Random Drug Tests Legal? 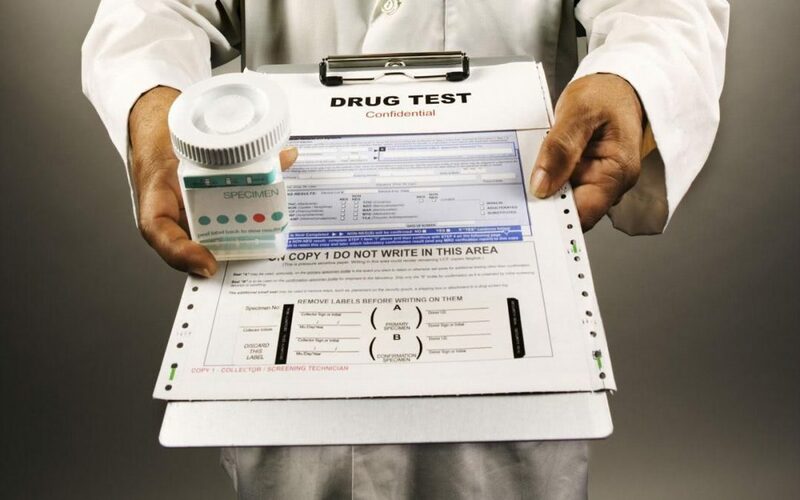 Advocates against random drug testing argue that there are much better ways to ensure that employees are fit for work without needing to drug test, such as requiring the employee to take a reflex or motor skill test to determine if they are able to perform their job. While this approach certainly does accomplish the goal of making sure the people you hire are able to do their jobs safely, it doesn’t really address the fact that if one of your employees is abusing drugs, there are a number of other behavioral concerns that are commonly associated with drug users in the workplace, such as an increase in absenteeism among drug users, a higher rate of theft, accidents, injuries on work premises, and a culture that makes employees more likely to continue abusing drugs without seeking help. Are you willing to take that chance with your employees? It’s a company decision regarding the ethics of employee privacy versus research that consistently demonstrates that having a drug free workplace increases your bottom line and has been shown to improve morale. Random drug tests, when performed according to strict company procedures, are absolutely legal for at-will employees. This is why developing a policy and having your employees understand the policy through specialized training and displayed signage is so important. While some might still consider a random drug testing an invasion of privacy, if there is a legitimate concern or documented behavior that gives reason for a supervisor to suspect that an employee is under the influence, then this policy will protect both you and your employees. It also is the most proactive way to get help for people who are abusing drugs, while leaving a door open for them to return to work after rehabilitation and counseling. Unless you are in an industry such as military contracting, transportation, or nuclear energy that is closely regulated by the federal government, there are not many federal laws in place for drug testing. Local and state governments often do regulate testing, and ordinarily require that adequate notice and procedures are written and posted publicly to avoid circumstances where discrimination and tampering with samples could make testing procedures unfair. Generally, most states will require that all applicants are made aware that the company has a policy in place, and that all applicants for similar job titles are tested the same way. This allows the applicant to consciously decide whether or not they would like to continue the application process. For the employer, this means that putting your policy front and center will help narrow down your applicant pool to those who believe they can pass a drug test. A well-written drug abuse policy sets the standard for company operations, even before an employee’s first day on the job. Before announcing to the world that you’re going to start drug testing, start by sitting down with an attorney who understands your state’s laws regarding drug testing, who can help you navigate your options. For instance, some states require employers to use a laboratory or test with certain state certifications to ensure that testing procedures are safe and humanely collected. Other states simply require that you use tests that are C.L.I.A. cleared for best practices. Another decision to make is your preferred method of testing. If you do have the flexibility of choosing between a lab and an instant drug test that can be taken on site, then you will have more flexibility and control over the time-frame of the testing procedures for your company by choosing an instant drug test. With an instant drug test, there are many varieties and options, but the most popular tests by far are the “All-In-One” cup tests, such as The Fourteen Panel All-In-One T-Cup Drug Test with Adulterants, that screen for major illicit drugs and specialty drugs in addition to common adulterants that attempt to create false negative and positive results. Now that you know the state laws and have chosen a test, it’s time to outline your company’s official Drug Abuse Policy. A comprehensive Substance Abuse Policy will include the following: A clear statement of position on the issue of drug use within the company, the expectations the employer has of employees, and how the company will handle any violations to the policy. Be sure to have each employee sign a copy of the policy to ensure they have read and understand the agreement they are making when they come to work for you. Here’s a sample Drug Testing Policy from the Society of Human Resource Management that can help you get started in developing your own policy. Managers are the eyes and ears of an employer. 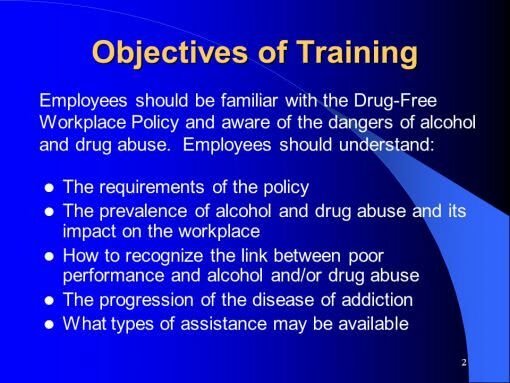 Because they are the ones who have the most direct exchange with employees in the field, it is important to train your managers on your company’s new Substance Abuse Policy and the procedures to follow on how to document and report suspicious behaviors, and the process for referring employees to the appropriate resources within the company if further action is required. Having these procedures in place and in writing upfront will give managers the freedom to stay focused on their work. They will not be required to confront, diagnose, or personally assist those who are having difficulty performing tasks as a result of possible intoxication. They must simply refer the employee to the appropriate place, such as a Human Resources specialist, for further consideration. The importance of drug awareness education is just as impactful for adults as it is for school age children. Current employees must be aware of the company’s Substance Abuse Policy, and incoming employees must also be made aware as they arrive that taking a drug test is a required part of the application process. In addition to signing a copy of the Substance Abuse Policy, it is imperative to also hang information about the Substance Abuse Policy in an area where it can commonly be reviewed as updates are made. Break rooms and meeting rooms are ideal areas for this type of information. This display can and should include all policies and procedures relating to the maintenance of a drug-free work zone, and may include information as well about the serious health effects of abusing drugs and alcohol. Posting testing dates, a resource guide for getting help, contact information for counselors, and health tips that could include everything from water consumption to job-specific stretches that could alleviate pain without taking medication are also good options for public displays. Perhaps the most challenging part of being a manager is following the procedural guidelines in situations where observations and personal judgement could have serious impact on the life of another person. Observing employees and ensuring that the company remains productive is a company’s goal. Suspicious behaviors are the tell tale sign that an employee may be under the influence of drugs. Other less visible factors include a noticeable decline in work performance, reports of witnessing drug use from reliable sources, and accidents. When are behaviors suspicious enough to require a drug test? The most obvious indicators are found in the employee’s physical symptoms. Unusually agitated or sluggish demeanors, slurred speech, and unprofessional or belligerent responses that are in violation of the company’s code of conduct are common ways to tell that something is not right. Recording the incident and having witnesses record their observations as well is crucial to documenting the situation and addressing it according to company guidelines set forth. Drug Testing days should not come as a surprise to anyone in your company. If your company’s Substance Abuse Policy is clearly defined to explain who will be tested, when, and how, then testing days are a matter of scheduling employees and managing the arrival of results. For instance, if all new hire applicants are to be tested, and you are able to do drug testing on site with an instant drug test, simply schedule your potential hires to arrive in small enough groups to make sample collection and process times go smoothly. 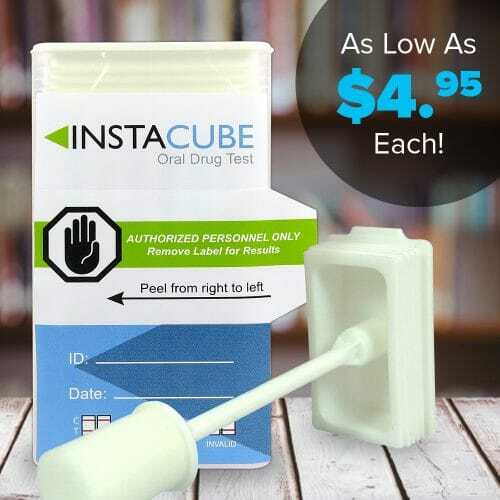 Instant drug tests provide results within five minutes, which will allow you to record results in the job files before moving onto the next testing group. In some cases where there is evidence of tampering or the results are difficult to read, keep extra tests on hand so that a second test is easily acquired. This will ensure that your tests are all completed and accurate. Though you should always check the packaging on whichever test you purchase, most instant tests will stay good in storage for up to 18 months. In the unfortunate event that one of your employees needs help, having an Employee Assistance Program in place could be just the lifeline they need. Overcoming substance abuse is a serious challenge, and one that need not be handled alone. Even if your company does not offer to pay for these services directly, many states offer a wealth of information on public health services and counseling for those struggling with substance abuse. If your employee is able to recover, then they may resume working for your organization. This too is something that can be written into your company’s Substance Abuse Policy if you like. Once you determine the testing restrictions in your state, these steps will help you finalize and implement drug testing in your own company. Having a comprehensive Substance Abuse Policy in place is a big step towards creating a drug-free workplace. Everyone in the workplace benefits from a drug-free environment and an office culture that promotes employee well-being and safety. For your company’s bottom line, this also means less liability and higher productivity, in addition to creating a public image of transparency and high morale.